We’re halfway through 2015 as of this posting (give or take a couple days. I actually lost the first 500 words of this post to a computer malfunction earlier in the week. I intended to have it done on the 1st.). This is the perfect time to check-in with all the goals and intentions you set in January. Even if the ball got dropped, catching it now still gives you six months to make things happen before the new year rolls around again. Don’t be discouraged, don’t beat yourself up, just pick up that ball and get back to it. For myself, I know a lot shifted in the last six months, A LOT, especially in March and April. So for my mid-year check-in I needed to spend some time reevaluating which goals and intentions still resonated with me, because a few no longer did and there is no point in putting the effort into a goal that you genuinely don’t care about anymore. Of course I turned to tarot to help me see where I needed to focus my efforts, what could be released and what the trajectory for the rest of the year looked like. Here is the spread I used. I hope it helps you as you evaluate your progress and release or recommit to your goals for the remainder of the year. This is a large spread and it has two major parts, so I broke it down to make it a little easier to work with. The first part of the spread is intended to offer insight and advice to help you move forwards with your goals in the second half of the year. The second part of the spread gives you an overview of where things are headed over the next 6 months. 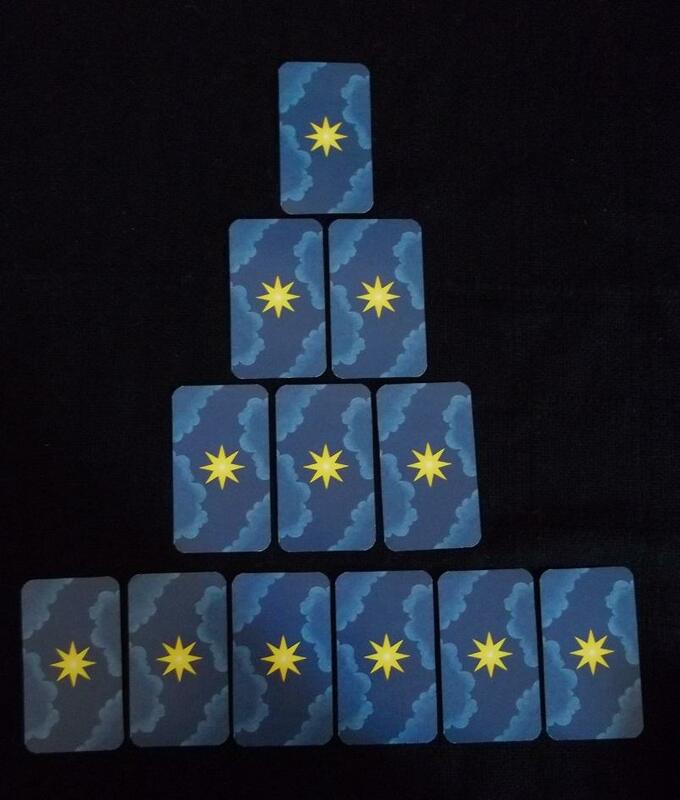 #1 – How thing are currently in regards to my goals: This card will show you the current state of your progress towards your goals. Some things to notice is whether there is motion or stagnation, action or rest, or if there seems to be a balance. The idea is to get a picture of where you are energetically and in terms of progress. A card like the Four of Swords could mean you’re giving yourself a break and recuperating your energy before taking anymore steps, whereas a card like the Four of Cups could indicate that resting has turned into ambivalence and needs to be addressed before progress can be made. When I did this spread I got the Eight of Wands in this position. I read this as meaning, I’ve created momentum and things are moving along quickly, but that rapid progress may get too intense, so I need to stay mindful of that possibility and slow things down if I start to get overwhelmed. 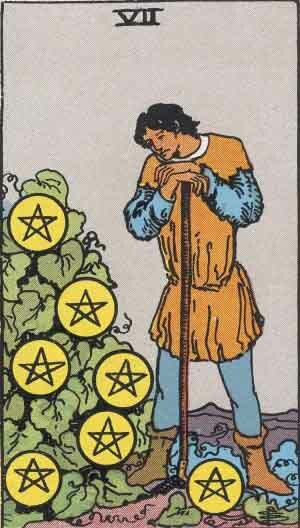 #3 – What has changed: This card represents the goals and priorities which you may not be feeling so connected to anymore. This position could also be considered “What you need to reevaluate.” Before putting anymore effort or energy into these things you should carefully consider whether they are still important to you and whether they may need to be moved lower on your list of priorities or removed from that list all together. #4 – Area that most needs my attention: This card will show you what needs to be addressed or dealt with most immediately in order for you to continue progressing and growing. It will often indicate something that you didn’t realize was so important, but really is essential. Similarly it can point you towards an aspect of your life that is getting neglected and needs to be focused on. #5 – What is getting in the way of reaching my goals: This is the block or obstacle that is making progress and growth challenging. 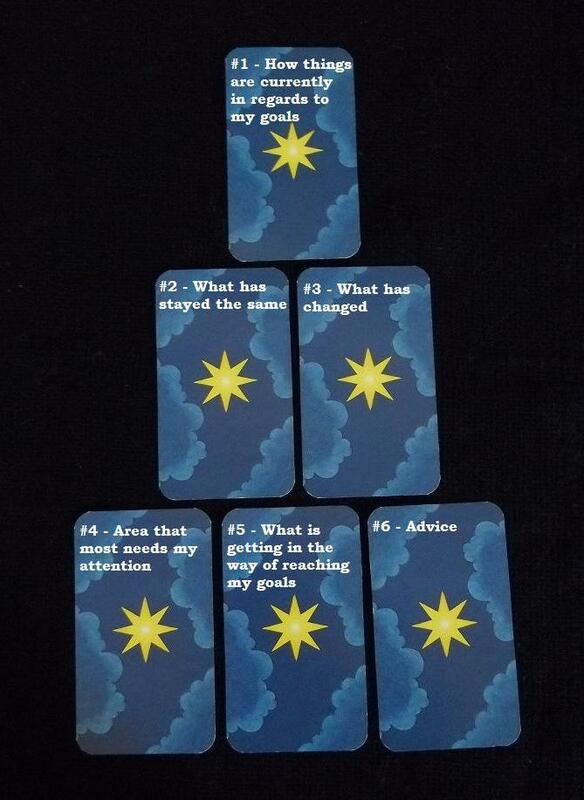 If the goals and intentions you set at the beginning of the year aren’t coming together like you want, or you aren’t feeling motivated to pursue them anymore, this is most likely the culprit, or one of them (also check card #1 and #3 for clues). #6 – Advice: This card offers you advice to overcome the obstacles in card #5 and also gives guidance for moving into the second half of the year strong and motivated. This is the second part of the spread and it can be used as either a projection of what the theme will be for each of the last six months of the year, or if you aren’t into predictions/projections it can be used to indicate what you will need to focus on during each month or can be viewed as advice for each of those months. The entire spread looks like this when its laid out all at once. Its definitely hefty, but gives you a lot of useful information and its not too bad when you break it down and just focus on one part at a time. I hope you give it a try and let me know what you think.